This past week I've been w/ Sam Williams in Guangzhau China for the World Wrestling Championships. I'd like to write that we saw Lex Lugar take on Big Show at Smackdown at Summer Slam but it was actually Olympic Wrestling--Greco (the style where Rulon Gardner beat Russia's Alexander Karelin) and Freestyle--very similar to High School Wrestling you may have seen. Points are scored by taking opponents down and exposing their backs to the mat. The US team did OK, placing third behind Russia and Iran in both events. This is the warm-up to what we will see in the Olympics in Beijing in 2008. Two American brothers were on the Freestyle team--Mike Zadick took the Silver and Bill Zadick the gold so it was a big tournament for the Zadick family. 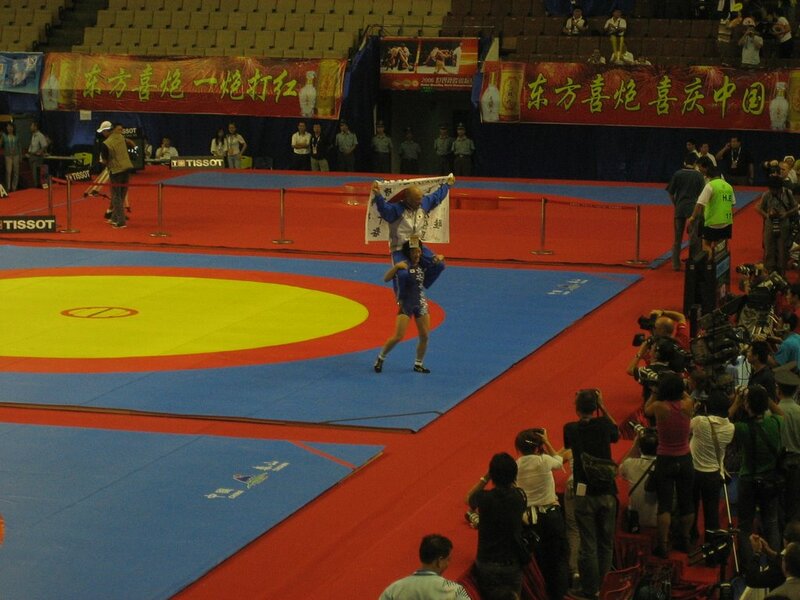 The final match on Friday evening was between China and Japan in a lower weight women's bracket. 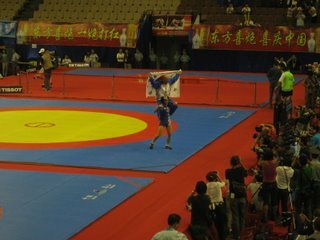 After Japan pinned China in the first round, the wrestler hoisted her coach on her shoulders and paraded him around the ring (see photo). Woah! No wonder she won! I also thought I'd include a picture of Breakfast. 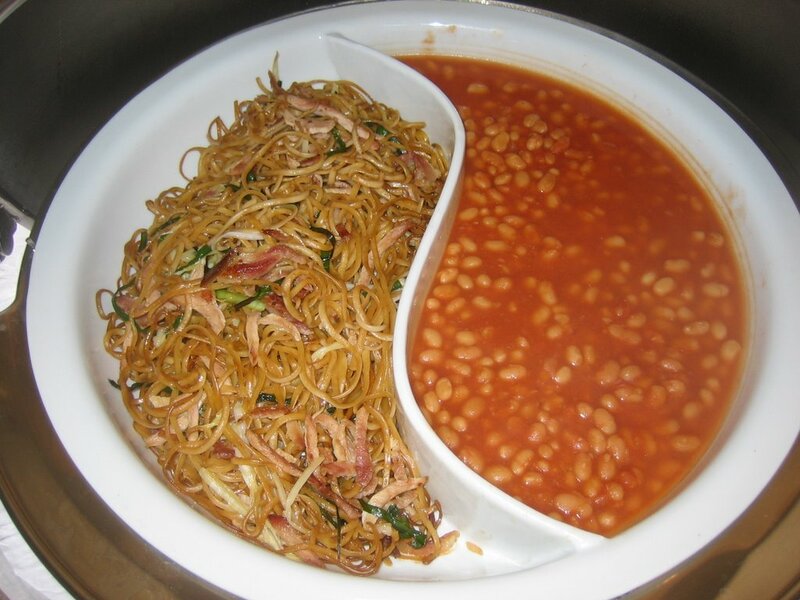 Notice the chow mien juxtaposed with baked beans. East meets West demonstrating the balance between the Yin and Yang--Beansprouts and beans...stability and risk...gastronomy and gas. It is rare that breakfast is so philosophically challenging. I see a future in this ying-yang breakfast - the '08 olympic breakfast of champions!